Home made, whole wheat-brown bread, a healthier bread, is easy to bake and it turned up pretty well despite of leaving out the bread improver . The recipe is shared by my friend Akbar Basha, a very talented baker, who is now carving a niche for himself, by baking for the people related to the Royal family of Kuwait. The best things about the recipes he shares, is that these are straightforward, no nonsense and could be easily halved or quartered depending upon your needs. And did I mentioned that the bread turned out fabulous, with bang on flavors ? If using dry yeast granules or fresh yeast, proof the yeast first . Set aside 75 ml of water from the above mentioned 250 ml, add fresh or active dry yeast and then add 2 tsp of sugar (Take out these 2 tsp from the 30 gm of sugar mentioned in ingredient list). Let it sit aside for 10-20 min to froth and then use this frothy liquid to knead the dough. If the yeast mixture do not froth, repeat the procedure with less warmer water, or else you might need a fresh batch of yeast. If using rapid rise yeast, just add it to the flour and proceed without proofing it first. Now in a bowl, mix all the ingredients and knead well till the dough is satiny smooth ( for 20 minutes, if kneading with hands). Coat the dough with some oil and keep it well covered with a moist cloth or cling film, making sure that there is enough space in the bowl for the dough to double up. After about an hour or so, the dough will rise to double of its original volume. Knock it down and knead for few seconds. Divide the dough into two portions (or more, depending upon the size of your loaf pan). Shape each portion into a rectangle, and place it in the greased loaf pan. Keep it covered for 20-30 min. Preheat the oven to 210 degree C.
Now using a spray or brush, coat the surface of the loaf with some water and sprinkle some seeds (white or black sesame seeds) or oats if you wish so. Or else, just brush the surface with water/milk/ egg wash.
Bake in the preheated oven for 35-45 minutes or till the surface is well browned. A bread is supposed to be done if it sounds hollow when tapped at the bottom side of the loaf. Cool on the rack and slice only after it is cool till the core. 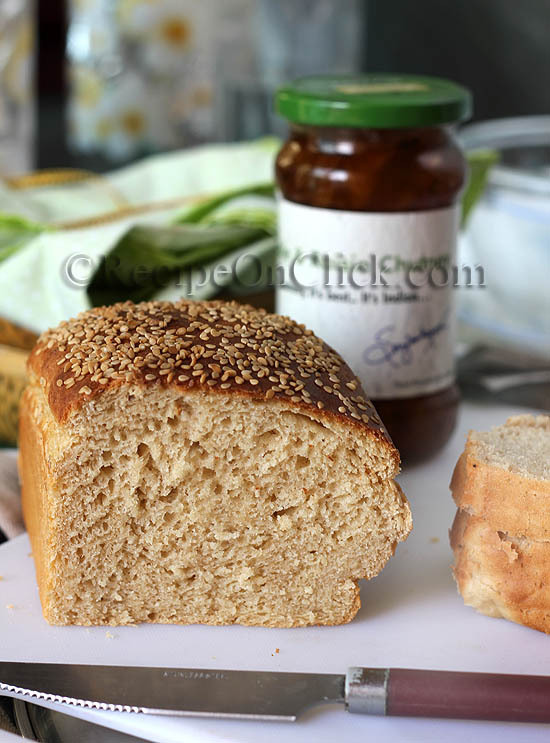 Slather some butter or jam and enjoy the fresh and healthier home baked brown bread . I enjoyed it with the Raisins and Pineapple Chutney, courtesy sir Sanjeev kapoor ! 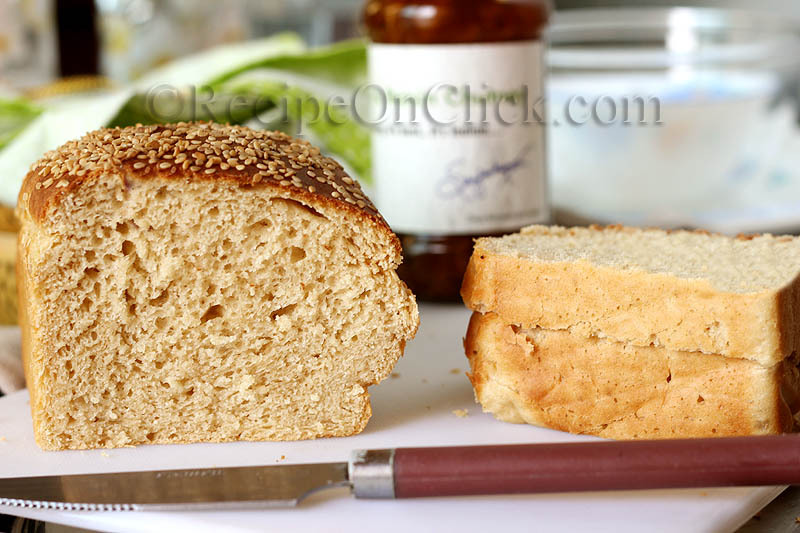 * Adding bread improver is a must if using the original quantity of ingredients. For half or quarter of the recipe, you might proceed without improver. 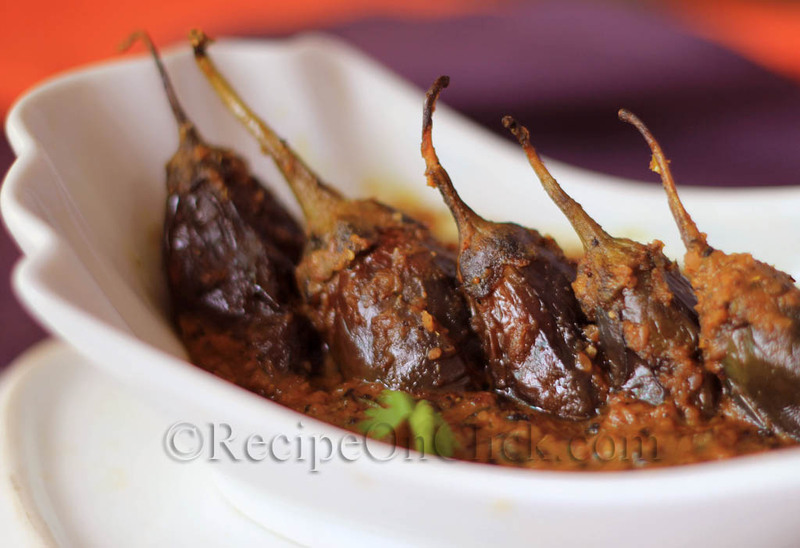 You can check Akbar Basha’s Nankhati Recipe here !